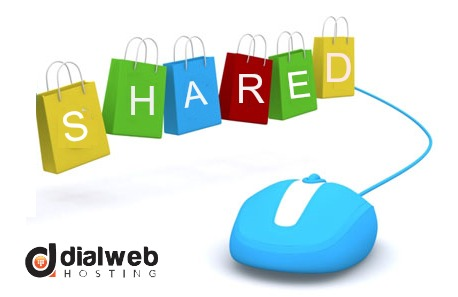 Is Shared Hosting Beneficial For Your Online Buisness? When you are planning to sell products on the Internet, shared hosting plans may not necessarily be your best bet. You will find that most of the ecommerce stores selling goods online prefer VPS hosting or dedicated hosting to shared hosting plans. The reason for this can be found in the advantages of dedicated hosting and virtual private server hosting. 1. One of the main reasons why shared hosting plans may not benefit your ecommerce site is limited resources. Shared hosting plans may well offer you adequate storage space. This is a necessary condition for ecommerce sites. But shared hosting cannot guarantee unlimited bandwidth. The resources are shared collectively amongst many users residing on the same server. If your website has many videos and images, it will demand a higher bandwidth. When the traffic to the site increases, you can expect the demands for higher bandwidth to go up. 2. With shared hosting plans, you cannot qualify for SSL certification. A SSL certificate is a must-have for any ecommerce store. Without this, you cannot ear the trust of your customers. Such websites cannot be approved for online credit card payments. If you run an online business, you will need a distinct IP address and a SSL certificate. 3. The way your website performs is likely to have an impact on the number of visitors you get. If you buy shared hosting plans, the chances of the site slowing down are high. This happens because resources shared by many users tend to get over-used by some neighbors. When your website begins to slow down, the effects can be disastrous for sales. Studies show that nearly 40% viewers will leave a website when the web pages take more than a couple of seconds for loading. Only VPS plans and dedicated servers can guarantee optimal site performances. 4. Shared hosting plans are vulnerable to security threats. Resources are shared by multiple users on the same platform. Malicious activities on neighboring sites can end up affecting your site rankings in search engines. Lapses in security can make the site prone to frequent cyber attacks and security breaches. 5. To run an online business, you will need to own a distinct IP address and SSL certificate. Without VPS or dedicated hosting, users do not have root access to servers. This means that you cannot enjoy control over the security measures to protect valuable data. As a result, the site reputation suffers and you may even get blacklisted by search engines. 6. When you launch an ecommerce store, you will not get a huge number of visitors from the first day. But you should be prepared to accommodate high traffic if needed. Changing your hosting plans later on to cope with the high incoming traffic is not a feasible option. When you are keen to run an online business that you are confident about taking off, you must start off with VPS plans and not shared hosting plans. 7. Only dedicated servers and virtual servers can guarantee you a 99.9% uptime. To be sure, you must check the provider’ Service Level Agreement. Shared hosting providers will never be able to guarantee you such a high uptime, no matter how reputed they are. 8. Dedicated hosting and VPS hosting plans are never cheap; this is why you can be assured of excellent support. In comparison, shared hosting plans are cheap and the host may not be able to offer you instant support at all times. When you run ecommerce stores, you must be backed by round-the-clock supports. The slightest delay can work against you and disappoint your customers. These drawbacks which shared hosting plans suffer from are enough reasons to choose VPS or dedicated hosting for your online business. Online enterprises need to get trusted and reliable web hosting solutions. For online businesses which do not have the funds to afford dedicated plans, managed VPS solutions can be the best option. VPS plans will let you avail of additional resources whenever you need these for affordable rates. You can be sure customer experience will never be affected because of your website slowing down for lack of resources.